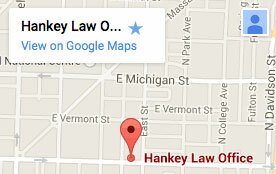 Hankey Law Office > FAQs > How long should my long term disability coverage last? In theory, a long term disability plan can provide coverage from anywhere from one year to the age of retirement. The generally accepted age of retirement is 65. But each plan can differ in the length of coverage they are willing to provide. Make sure to thoroughly read the paper work provided by your insurance company to check for loopholes in the type and length of coverage they supply. If you would like to speak with an attorney about long term disability coverage, then the Indiana LTD lawyers of the Hankey Law Office can help. Contact us today at (800) 520-3633 to learn more.